For the prostate and for alopecia. Saw Palmetto by Natrol is a natural supplement widely used throughout the whole of Europe for symptoms associated with benign prostatic hypertrophy (a condition that causes enlargement of the prostate). 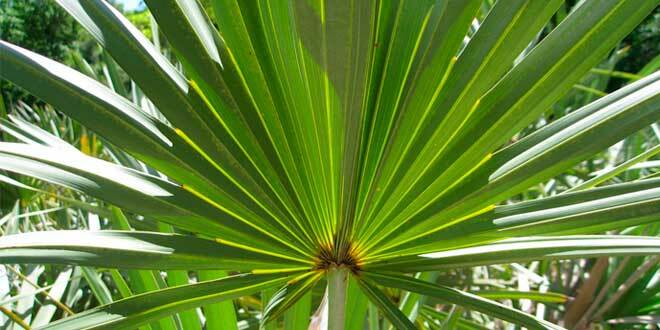 Saw Palmetto has been traditionally used as a herb tea to treat a variety of disorders of the urinary tract in men. The Saw Palmetto supplement seems to have similar effects as medications such as finasteride. It has fewer side effects. There are no known interactions with other medications. Waking continuously at night to urinate. Drips of urine after urination. In relation to androgenic alopecia, Saw Palmetto has the ability to inhibit the enzyme 5-alpha-reductase, preventing the conversion of testosterone into dihydrotestosterone (DHT) which is the main cause of baldness. Various studies show that the effectiveness of Saw Palmetto is equivalent to that of Propecia (1mg of finasteride) or Proscar (5mg of finasteride). Saw palmetto in the dosage indicated and with continued use can give results from 3 months of continued use, while Propecia and Proscar need 5 to 6 months to begin to see results. Extra virgin olive oil, thickener: E441 Gelatin, stabilizer: E 422 Glycerol water. As a food supplement, take 1 softgel twice a day with food.